Choctaw Nation Chief Gary Batton, Oklahoma Gov. Mary Fallin and Chickasaw Nation Gov. Bill Anoatubby at a news conference announcing the water deal. The agreement also establishes rules over how much water can be taken from the lake without disrupting tourism. The 88-page agreement, which needs Congressional approval, also sets up a framework for out-of-state sales or transfers of water from a 22-county region in south-central and southeastern Oklahoma. It creates a five-person commission appointed by the state and tribal governments that will evaluate such proposals and make recommendations to the Legislature, which has the final say. “We now have a mechanism that will be in place to collaboratively address any possible out-of-state water use if out-of-state water use is ever authorized by the legislature,” Gov. Mary Fallin said. After years of banning out-of-state water sales and transfers, lawmakers in 2009 approved a measure requiring legislative approvalof out-of-state diversions of Oklahoma water. That move came as Oklahoma officials squared off with Texas over shared rights to water flowing into the Red River — a battle that ended up in Oklahoma’s favor after a win at the U.S. Supreme Court in 2013. WHAT’S IN IT FOR THE TRIBES? 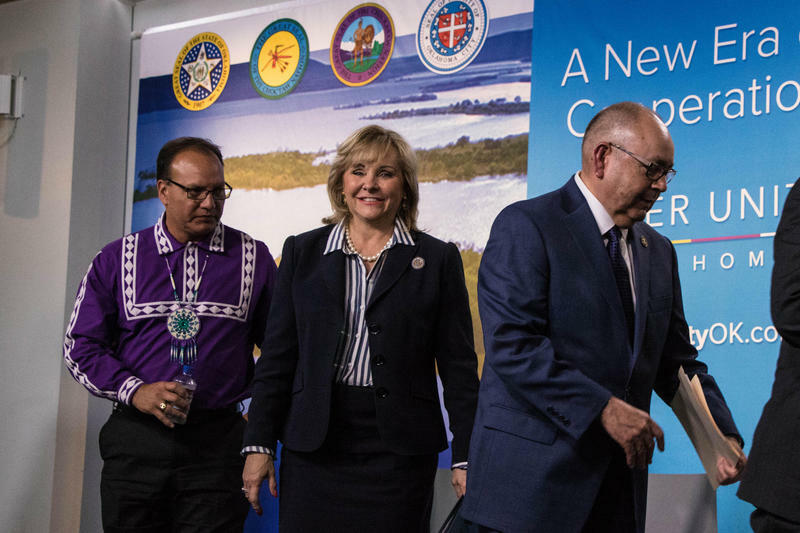 The leaders of the two tribal nations said they got exactly what they wanted: A seat at the table when governments are considering important issues that affect water insoutheastern Oklahoma. The agreement ends the lawsuit brought by the Chickasaws and Choctaws, and establishes rules governing how much water — and under what conditions — can be transferred out of Sardis Lake. Under the terms of the deal, Oklahoma City won’t be allowed to make drastic withdrawals from Sardis Lake, even in the worst of drought situations. The restrictions are supposed to keep Oklahoma City’s water withdrawals from killing local tourism and recreation that revolves around the lake. To combat extreme drought conditions in 2013, Oklahoma City pumped out water stored at Canton Lake in the northwestern part of the state — a move that profoundly affected the economy in the small, lake-driven community. The state-tribal water deal was written to make sure what happened to Canton Lake doesn’t occur at Sardis. In addition to getting to appoint two members of the commission advising the legislature on out-of-state water sales, the tribal nations get to appoint one of the two members of a technical committee that will help shape the scientific models used to allocate water rights and plan projects. Also, any money earned through the sale of water out-of-state would be used to update Oklahoma’s crumbling water infrastructure. A funding formula prioritizes such projects in Choctaw and Chickasaw country. WHAT’S IN IT FOR OKLAHOMA CITY? It’s clear to Oklahoma City leaders that the reservoirs the metro currently relies on can’t provide enough water to meet the future demands from the region’s growing population. Oklahoma City has sought access to the water in Sardis Lake for years, and with this agreement, it appears the city will get it. 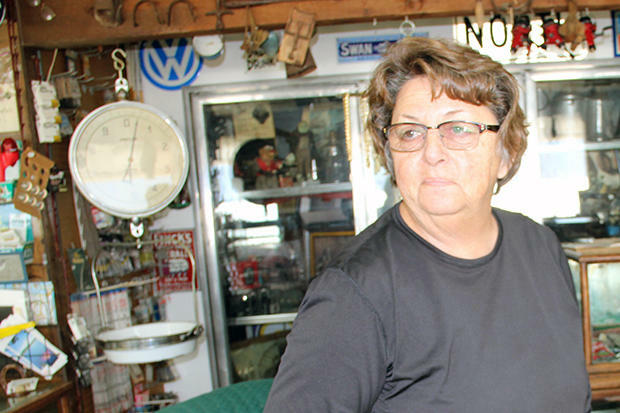 The city has been pumping water from southeastern Oklahoma for half a century. Right now, the city brings in water from Atoka Lake via a 100-mile pipeline. That pipeline needs replacing, and the city wants to extend it further east to pull in water from Sardis Lake. Once it reaches Oklahoma City from the new pipeline, slated to be begin construction in 2018, the water from Sardis Lake will also be sold to Blanchard, Edmond, El Reno, Moore, Norman and other communities throughout central Oklahoma, says Oklahoma City Manager Jim Couch. “They will all benefit from this,” Couch said. 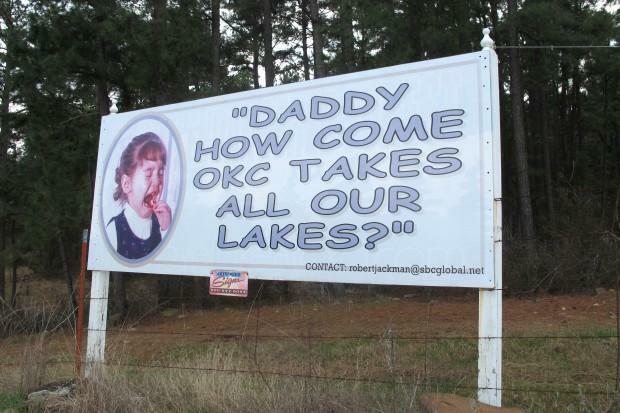 Hooking up to Sardis Lake won’t be easy for Oklahoma City — or cheap. The water project’s price tag is in the the $1 billion range. The settlement area detailed in the agreement between the state and Chickasaw and Choctaw nations. WHAT’S IN IT FOR THE STATE? The state government’s very authority over Oklahoma’s water was on the line in the lawsuit and negotiations with the tribes. The dust has settled on the fight, and the state is retaining primary authority over water regulation through the Oklahoma Water Resources Board. 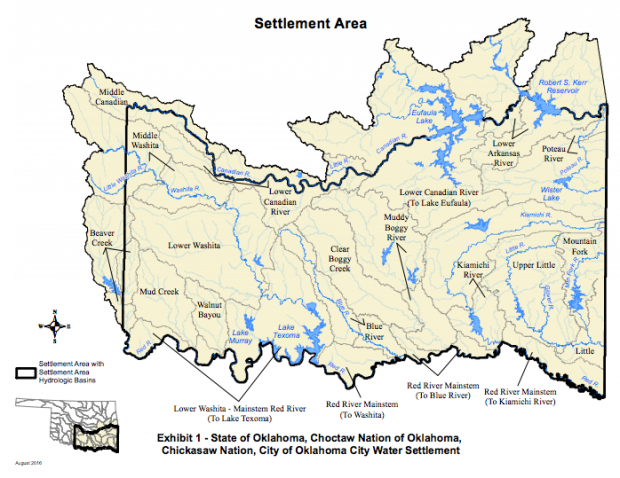 In the agreement, the Choctaw and Chickasaw Nations will drop all claims of ownership and control of the water in southeast Oklahoma. 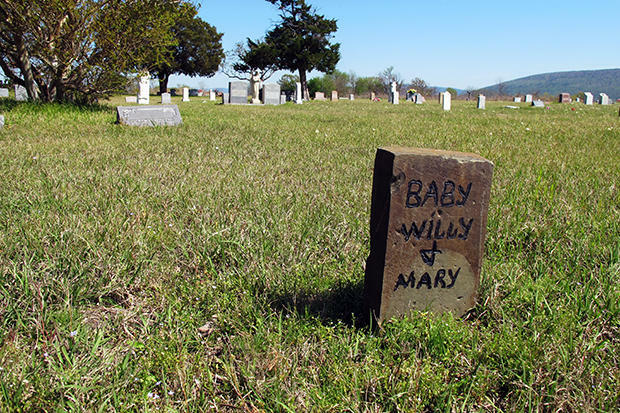 That’s significant, from a legal standpoint, because the tribes had a solid case: 19th century treaties with the U.S. government that guaranteed southeast Oklahoma’s water to the tribal nations and were never officially nullified. All of the participants in the tribal water lawsuit got what they wanted, but with caveats and restrictions. 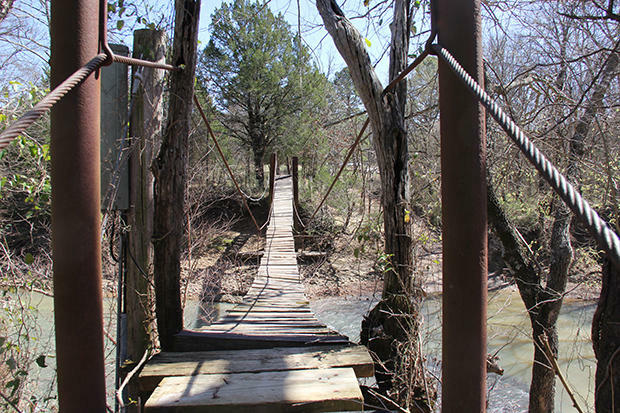 The parties affected by the lawsuit seem happy, too, even the advocacy group Oklahomans for Responsible Water Policy, a long-time critic of water policies impacting southeastern Oklahoma. “The proposed agreement will protect our recreation economy so critical to the prosperity of our area,” the group said in a statement. However, the group’s Russell Doughty tells StateImpact the agreement is no reason for those concerned with preservation of water resources to let their guard down. “We’ve always advocated for scientific research so we can have sustainable management for future generations, and we will stay here to make sure the various agencies and actors involved in this agreement are held accountable,” Doughty said. Moving water from where it’s plentiful to where it’s needed seems like a logical way to meet all Oklahomans’ future water needs. But water transfers are complicated, and not just because they’re expensive — but because communities with lots of water want to keep it. Nothing illustrates this tension/challenge/whatever better than Sardis Lake. A bill passed by the state Senate — SB760 — would, among other things, study whether moving water from basin to basin is a viable way of mitigating drought, and started with the idea of moving water from the eastern part of the state to the west. But it’s not the first time people in southeast Oklahoma have faced the prospect of losing the water in their area.